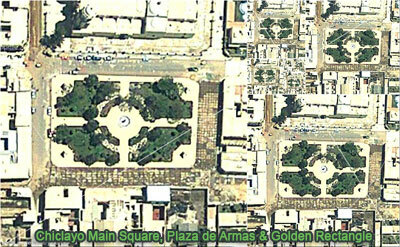 Chiclayo is the capital city of the Lambayeque region in northern Peru. It is located 13 kilometers inland from the Pacific coast and 770 kilometers from the nation's capital, Lima. As of 2011, Chiclayo is the fourth most populous city in Peru. The city was founded near an important archaeological site, the Northern Wari ruins, which constitute the remains of a city from the 7th- to 12th-century Wari Empire. The department of Lambayeque is one of the most touristic in the nation. It was home to the ancient civilization of the Moche who created some of the most ingenious monuments and works of art known to ancient Peru. In 1987, royal tombs of ancient Moche rulers were excavated. The artifacts found in the tomb were transferred to the Royal Tomb of Sipan Museum in the city of Lambayeque. Also there are the Brunning Museum and the Sican Museum in Ferrenafe. These museums display the magnificent ancient artwork produced by the ancient Moche. The pyramids of Tucume are also in this area. In 2007, more than 306,000 tourists visited the museums of Lambayeque. There are more than 20 adobe pyramids all of which are 40 meters (131 feet) in height and are in an abundance of vegetation and wildlife. Source: Wikipedia: Chiclayo.